I have done a search and spent some time looking through old treads. 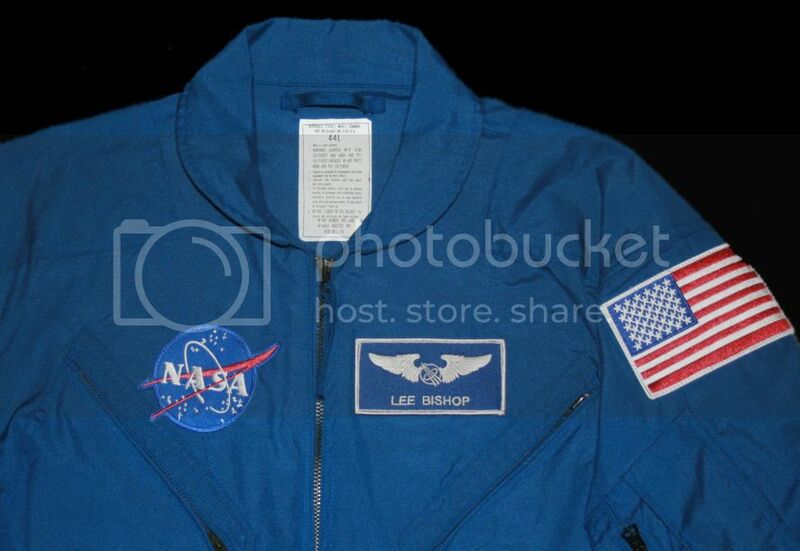 Could someone point me in the right direction to have an embroidered name badge made for my flight suit? My original one is out of date (maiden name) and I was hoping to have new ones for October. Great, thanks! 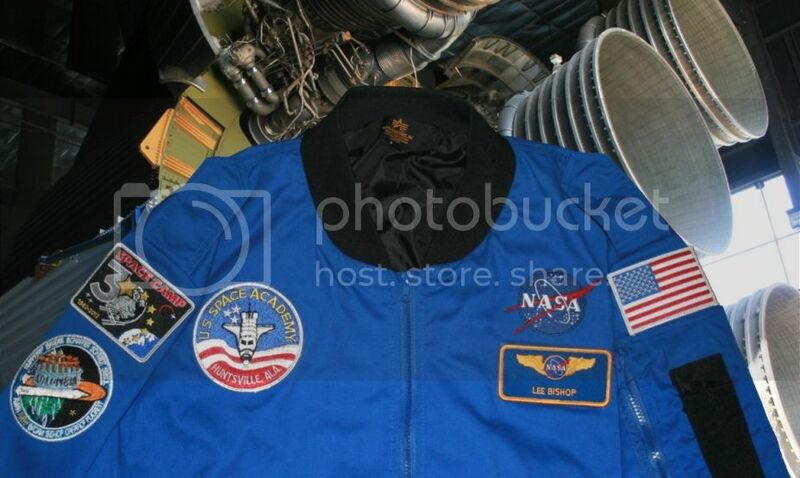 They have the USAF Astronaut wings as well. I wonder if they would make some with the astronaut corps wings if asked. It's been bookmarked. 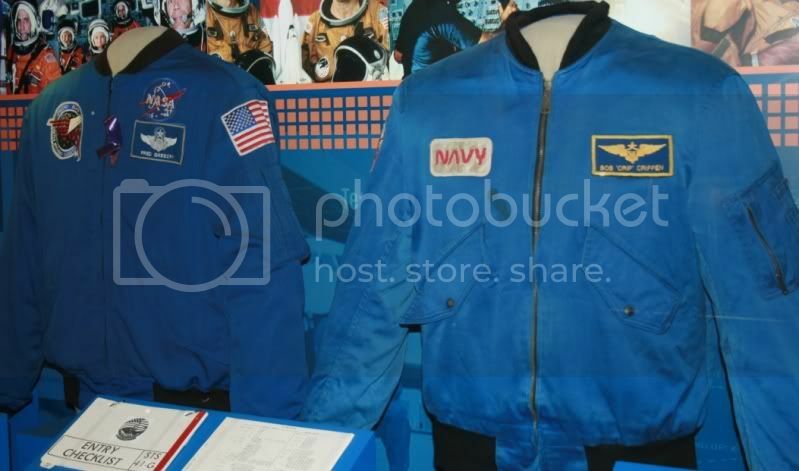 I see several places offer the Air Force Astronaut Wings on Name tags but noone seems to offer the Navy/Marine Astronaut wings. I believe the first sight you listed was where avaition challenge ordered our counselor name tags from since we wore navy and air force wings on ours counselors choice. I knew some counselors who ordered there own sets as well including one who got the airforce astronaut wings since she was a space camp alum. I wanted to get one with navy astronaut wings no such luck. SpaceCanada wrote: Great, thanks! They have the USAF Astronaut wings as well. 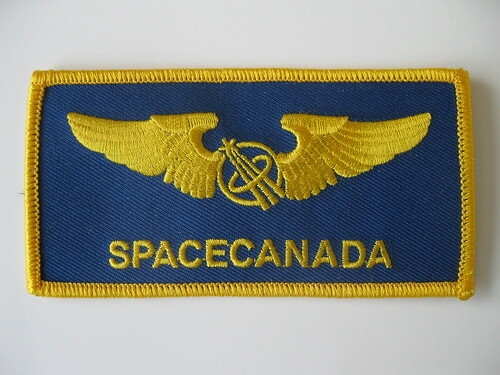 I wonder if they would make some with the astronaut corps wings if asked. I am going to ask an acquaintance of mine if she can make some mission specialist wings. She owns her own embroidery business. Fingers crossed. SpaceCanada wrote: I am going to ask an acquaintance of mine if she can make some mission specialist wings. Let us know how that works out. The guy who made my Camp mission and SC2x (mach 25 knockoff) patches was looking into a perfect copy of the MS wing nameplates, but he never seemed to get anywhere with it. Frankly, I always thought it was in bad taste to put USAF (or any other branch) pilot wings onto SC stuff, they should make the nametapes with some manner of SC wing like the couselors wear. 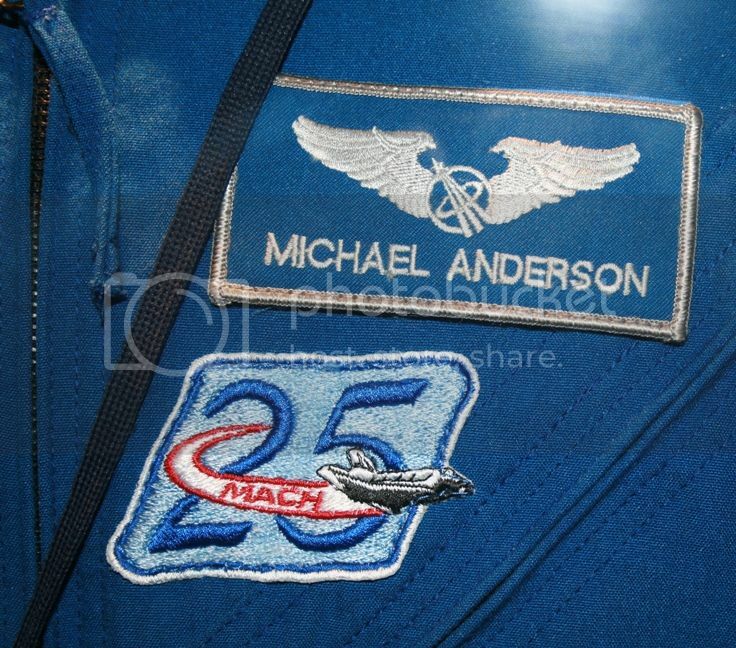 I have a USAF command astronaut wing nameplate made up for a "Armageddon" movie NASA flight suit I made up but I've never worn it anywhere. It would only seem fit for military personnel (past or present) to wear military emblems. 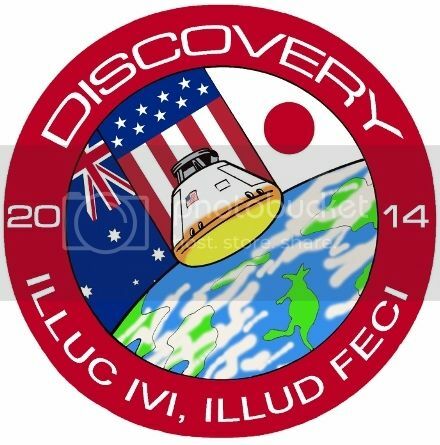 I'm not entirely sure astronaut emblems should be replicated either, now that I think of it. I asked Hoot about it once, and he said the pin was what mattered most. I may go with the same NASA wings you have. Space Camp ones would still be my first choice. My acquaintance is looking for a minimum number of name badges we would order if she were to look into it. I know I would get two for me and two for my husband. How many would the rest of you order, if they were acceptable and reasonably priced? I'd get at least two, but only as long as they were accurate. 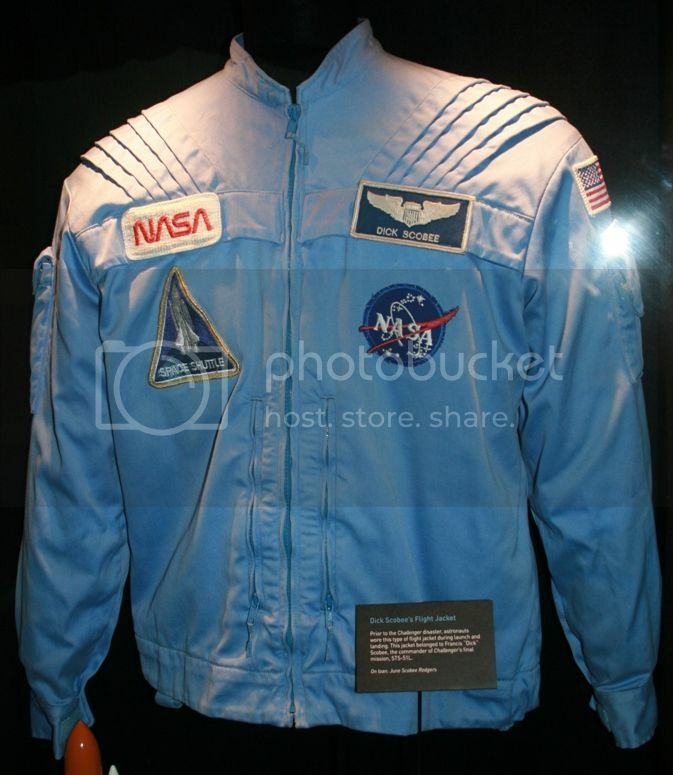 NASA makes them normally on royal blue backings, either in gold (more like yellow) or silver (more like white) thread. Gold color is generally from astronauts who have served in the Navy or Marines. The silver is usually from people who're USAF or Army, and the civilians often seem to go with silver, too. 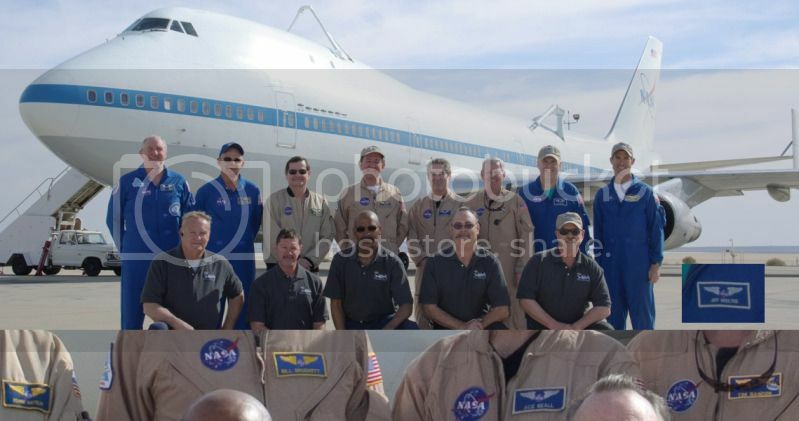 Real NASA folks have a variety of nameplates with wings. Military pilots often wear the wings of their service (and the few SEALs that have been astronaut have always worn their SEAL 'trident' insignia in the place of any wings, not that I could blame them). Non-astronauts have a few options as well. I've talked with astronauts, crew from the 747 SCA planes, and the 'super guppy' transport, all have told me that at various flight centers there is a board with a bunch of different styles of wings and crews can pick what they want theirs to look like, limited only to the types of wings they're allowed to wear in relation to their jobs. I would be interested in getting 2. Let me know. I'll add you to the potential list. That makes 14 name badges so far, which I hope is enough to get a sample made. Edited to add: Once I got home I confirmed that the name badges are 2" x 4" and matte gold. They are here and they look great! I got mine yesterday. They look great. Thanks. I might be able to add names to a few blanks I have left. PM me if interested. I just have to find the right font and test out the alignment. It may or may not be do-able, and I plan on testing it out this weekend. 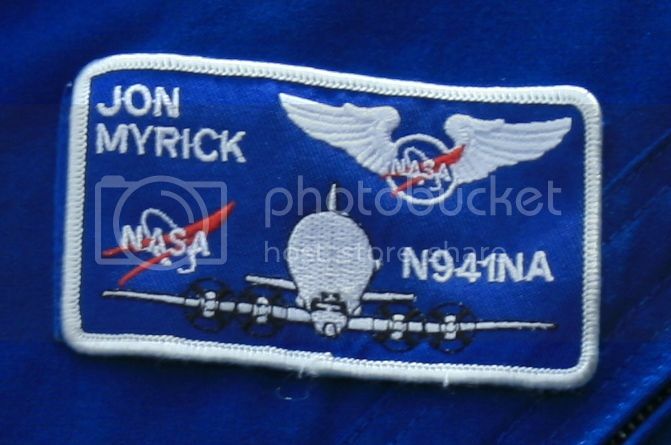 Also, someone (Hotdog, maybe) posted a link to the actual NASA name badge details, with an image, dimensions, etc. Does anyone still have that link? I cannot find it right now.